On Tuesday afternoon, just before three o'clock, Alison Ann Ridley's lemonade stand ran completely out of lemonade. At 3:05 Alison painted over the word "lemonade" and in straight, bold letters brushed in "Ask Alison, 25 cents. . . Satisfaction Guaranteed." She then settled down to wait. At 3:10pm Jackson Grew, with his red wagon and his plush purple triceratops in tow, saw the sign. He had thirty-five centers in his pocket which hadn't been enough for the ice cream man. He looked at his two dimes and three nickles. He looked at Alison. "Satisfaction guaranteed," nodded Alison. Jackson pulled up a lawn chair and counted out exact change. He covered his triceratops' ears. "Alison, how did the dinosaurs die?" he whispered. Alison screwed up her nose and twitched her mouth. She counted Jackon's money, twice, just to be sure. "Volcanoes," she announced. "Volcanoes got them." Completely unsatisfied, Jackson put his hand over his dimes and the nickle. "Well, how come they didn't run?" he said. Alison sighed. This wasn't going to be easy money. "Well, they would've run, but they were all too busy roasting marshmallows over the lava. By the time they finished doing that it was too late," she said. Jackson's eyes widened. "They had marshmallows back in dinosaur times?" he asked. "There have always been marshmallows," Alison said firmly. "They grow on bushes in South America." Jackson thought about this for a moment, took his hand off his change, picked up his triceratops, and walked away. That night when Alison was reading the encyclopedia, the phone rang. "Alison Ann," said Mrs. Ridley. "It's Jackson Grew." "Alison Ann speaking," spoke Alison. "I'm not satisfied," said Jackson. "My dad says dinosaur fossils are found in rock that used to be mud, not lava. If all dinosaurs died in volcanoes, wouldn't they be fossils in lava?" "Wellllll. . ." said Alison. "You didn't specify all dinosaurs. With so many different dinosaurs or course they didn't die the exact same ways." 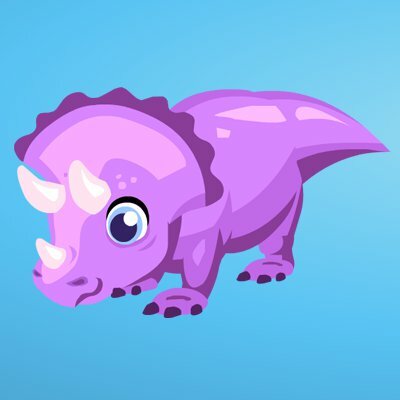 "Some dinosaurs left the marshmallow party early and went to the beach, but since they didn't wait an hour to go swimming after eating their marshmallows, they got cramps and we all know that that is very serious." "Oh," said Jackson. "And that's how all the dinosaurs died?" "Mostly. . .some were running with scissors and the carnivores wouldn't eat vegetables so a lot of them just got sick," Alison continued. "Oh and some people think they drowned in floods or got hit by rocks falling from the sky, but if you ask me, it was mostly the marshmallows that did them in." "Wow," said Jackson, "I didn't know marshmallows could be so dangerous." "Yes," said Alison. "That is why you should never roast marshmallows without grown-up supervision or eat them before dinner." "Are you satisfied now, Jackson?" Alison finally asked. "Yes, Alison, I am satisfied," said Jackson.